What IS Baby-led Weaning, Really? Most people nowadays have heard of baby-led weaning. It’s that thing where you let your six-month-old loose with spaghetti and meatballs, there’s a huge mess, and anxious relatives worry that he’s not eating enough or that he might choke! Well, yes, but that’s only part of the story. So what’s it really all about? Gill Rapley and Tracey Murkett take a look at what is – and what isn’t BLW. In the same way that attachment parenting (AP) is about more than carrying your baby around with you, baby-led weaning (BLW) is about more than simply letting your baby feed himself. 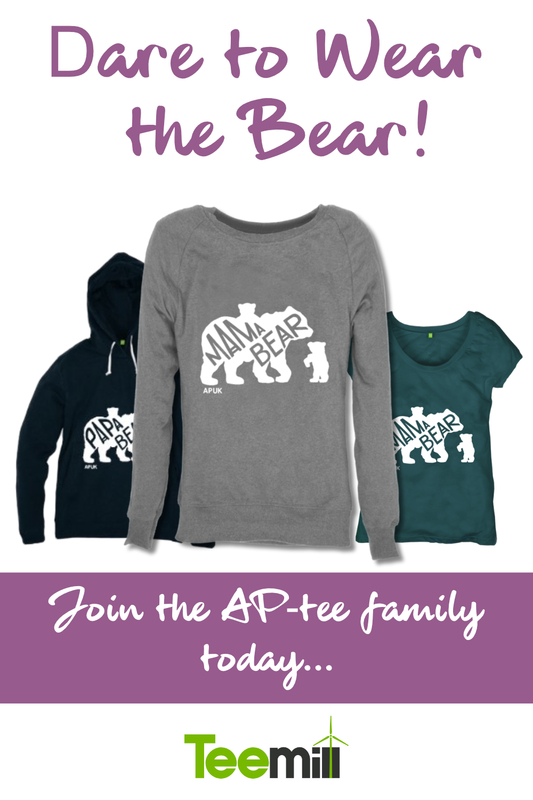 Being baby-led is a philosophy of parenting that has a lot in common with AP, and BLW represents one aspect of that philosophy. It’s about why you do what you do, not just what it looks like. It’s an approach, not a method. Baby-led parenting is about trusting your baby’s instincts, appreciating his abilities, nurturing his growing independence, respecting his need for autonomy, learning how to interpret his requests, and responding accordingly. Baby-led weaning applies all of this to eating. BLW trusts babies to know what they need to eat and drink, when, how fast and how much, and recognises mealtimes as important social experiences that help to bind families together. Babies can be relied on, from birth, to know how much to eat, how often and how fast. The mother’s role is to offer her breast whenever she senses that her baby wants to feed; the baby does the rest. Breastfeeding works best when it’s baby-led because the baby is free to take what he needs while letting his mother’s body know exactly how much milk to produce (1). The same principle works throughout weaning. 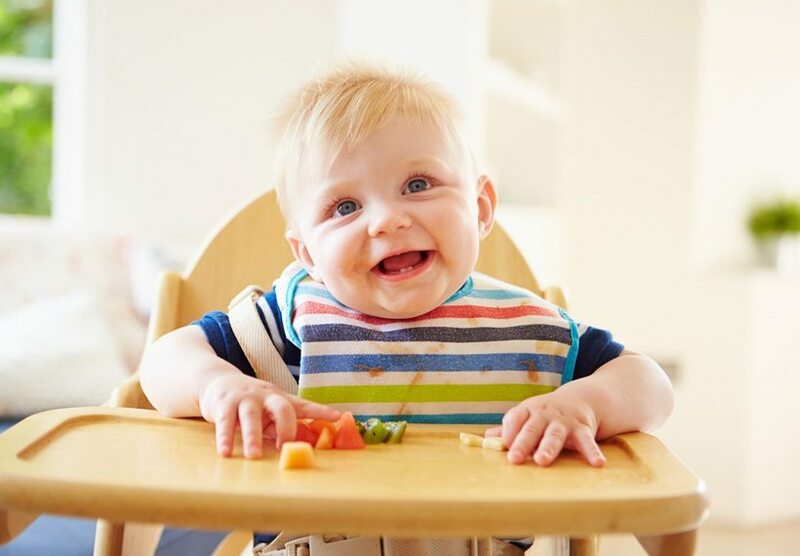 Simply including babies in family mealtimes and making solid foods available to them means they can gradually start to expand their diet as they begin to need more nutrients. And whenever they are ready they’ll begin to cut down their intake of breastmilk as their need for it lessens. For most babies, exploring solid food will begin at around six months, although completing weaning – by dropping milk feeds entirely – may take several years. All of this works because it’s based on babies’ natural development. As their need for additional nutrients increases, so does their gut’s ability to digest them – and both of these keep pace with their ability to grasp things, take them to their mouth, bite and chew (2). Plus, babies’ innate curiosity drives them to investigate food and everything else around them. It may even be that their instinct to mouth things is all about discovering what’s edible and what isn’t. Either way, it’s logical for them to want to explore food as well as toys, mobile phones and car keys! The first thing that springs to lots of people’s minds when they hear about BLW is the risk of choking. But there is no more risk with BLW than there is with spoon feeding. The reason lies in babies’ natural developmental pathways, and in the principle of letting these unfold spontaneously, at the pace determined by the baby. The appearance of new skills follows the same sequence for all babies, and goes hand in hand with their physical development. For example, each baby learns to walk only when his leg muscles are strong enough and his co-ordination and balance sufficiently fine-tuned to enable him to do it. It’s the same with food: if your baby is able – unaided – to get food to his mouth and bite it then he will almost certainly be able to chew it safely (4). If he manages to swallow it, then his digestive system will be capable of dealing with it, too. Provided he is sitting upright, he will be free to use his hands and arms effectively and – crucially – the food is unlikely to make it to the back of his mouth unless he has deliberately chosen to swallow it (2). Handling pieces of food is a vital part of this process. It helps babies to understand size and texture, which in turn helps them plan for how the food will feel inside their mouth (5). Your baby may need to look at a new food, poke it, squish it, bang it, touch it with his lips, lick it, munch on it, bite it, spit it out and start again many times before he decides to eat it. However, this built-in safety mechanism can only work if he is in control of his eating. It may look like play, or as though he doesn’t know what he’s doing, but it’s important to let him do it. In the same way that trying to hurry your baby to walk before he is ready risks disrupting his development, trying to ‘help’ him – for example, by putting food in his mouth for him or guiding his hand to his mouth – may mean he misses important information that will help him to chew it safely. It may also make him frustrated, and damage his confidence. Remember, his primary goal isn’t eating – it’s discovery. Many babies gag when they first begin to put food in their mouth. This movement is also described as retching and is sometimes followed by a small vomit. Gagging can be alarming to watch but it rarely bothers babies – and it’s an important way for them to learn how to eat safely. In a six-month-old baby the gag reflex is very sensitive, and it’s triggered way before the food is anywhere near the airway (2). So it’s not a sign of danger. Its function is to push the offending piece of food forward and to alert the baby to what’s happening, so that he learns not to push food too far back in his mouth before he is ready to swallow. But gagging is sometimes confused with the noisy cough-and-splutter reflex that’s designed to clear the airway of a potential obstruction – and it may even be mistaken for true choking, which is extremely rare. This can mean that some parents opt to delay self-feeding until the gag reflex is less sensitive – which means their baby misses out on the ideal way to learn to eat safely. The best way to help your baby through the gagging stage is to ensure he has lots of practice with food, so that he can work out for himself how to prevent it happening – and to stay calm whenever it does happen. One of the golden rules of baby-led weaning is that the baby should always be in control of his eating, with no-one putting food into his mouth for him. Spoon feeding will always take away this control to some degree, even when it’s done sensitively. Partly this is because it tends to deny the baby the chance to explore the food (especially if the aim is to avoid any mess) but also because it’s much more difficult for him to reject something already inside his mouth. True BLW means offering your baby the opportunity to eat all types of food however he chooses. It also means making spoons and forks available so he can experiment with them and discover how to use them in his own time. In practice, however, many parents find the mess associated with runny foods just too much to cope with (especially if they are in a restaurant or someone else’s house!). So what’s the answer? One option is to let your baby learn to ‘dip’ first, which is easier than scooping runny food with a spoon. Edible dippers, such as carrot, celery or bread sticks can be a fun way for babies to learn the basics of using a tool to eat. Another is to hand your baby a ready-loaded spoon, or to let him guide your hand as you hold it. The key is to make sure he is the one who decides whether or not to accept the mouthful, and to keep the amounts on the spoon small. Alternatively, you might simply decide to leave runny foods off the menu until he’s a bit more dextrous. Some parents choose to spoon feed their baby pureed foods while also offering him finger foods, often because they worry he won’t eat enough on his own. This approach combines two feeding methods but it’s not BLW – mainly because its purpose is to persuade the baby to eat more than he otherwise would, meaning that he is not in full control. It can also lead to him cutting down on milk feeds too soon, simply because he is too full to want them. Until they’re about nine months, most healthy babies need only very small amounts of a few key micro-nutrients, so a slow start with solid foods is normal (6). Giving your baby plenty of opportunity to explore a variety of foods – and letting him continue to breastfeed whenever he wants – is the best way to make sure he has all the nutrition he needs. So, being baby-led means you are working with your baby’s development and his instincts rather than against them. Trusting him is the key to this approach – once you give him the opportunity to explore food in his own way, at his own pace, he’ll be the one who’ll show you just what baby-led weaning is really all about! Find more information on the ‘how to’ of BLW in the leaflet downloadable here, and at www.baby-led.com and www.rapleyweaning.com. Gill Rapley and Tracey Murkett are the authors of Baby-led Weaning, helping your baby to love good food, The Baby-led Weaning Cookbook, Baby-led Breastfeeding and Baby-led Parenting, The easy way to nurture, understand and connect with your baby all published by Vermilion. 01. Dewey, K.G., Heinig, M.J., Nommsen, L.A. and Lönnerdal, B. (1991) ‘Maternal versus infant factors related to breast milk intake and residual milk volume: The DARLING study’, Pediatrics, 87(6): 829-837. 02. Naylor, A.J. and Morrow, A. (eds.) (2001) Developmental Readiness of Normal Full Term Infants to Progress from Exclusive Breastfeeding to the Introduction of Complementary Foods: Reviews of the Relevant Literature Concerning Infant Immunologic, Gastrointestinal, Oral Motor and Maternal Reproductive and Lactational Development. Washington, D.C.: Wellstart International and the LINKAGES Project Academy for Educational Development. 03. Wright, C.M., Cameron, K., Tsiaka, M. and Parkinson, K.N. (2011) ‘Is baby-led weaning feasible? When do babies first reach out for and eat finger foods?’ Maternal & Child Nutrition, 7(1): 27-33. 04. Wickenden, M. (2010) ‘The development and disruption of feeding skills in babies and young children’, in Southall, A. and Martin, C. (eds.) Feeding Problems in Children (2nd). Abingdon, Oxon: Radcliffe Publishing Ltd., pp.7-28. 05. Gibson, E.J. and Walker, A.S. (1984) ‘Development of knowledge of visual-tactual affordances of substance’, Child Development, 55: 453-460. 06. Butte, N.F., Lopez-Alarcon, M.G. and Garza, C. (2002) Nutrient Adequacy of Exclusive Breastfeeding for the Term Infant During the First Six Months of Life. Geneva: WHO. Gill Rapley was a health visitor for over 20 years. She has also been a midwife, a voluntary breastfeeding counsellor and a lactation consultant. She spent 14 years with the UNICEF UK Baby Friendly Initiative, including several as Deputy Programme Director. She gained a Master’s degree in 2005 and is currently completing her PhD studies. She is credited as the originator of the term ‘baby-led weaning’ and is the pioneer of this approach worldwide. She is the mother of three grown-up children and believes passionately that children can help us with the business of being parents, if we know how to listen to them. Tracey Murkett is a writer and journalist. She lives in London, where she is also a mother-to-mother breastfeeding supporter. As well as writing books with Gill Rapley she contributes to magazines and websites internationally. She discovered how enjoyable and easy using a baby-led approach is with her own daughter, now aged eleven.